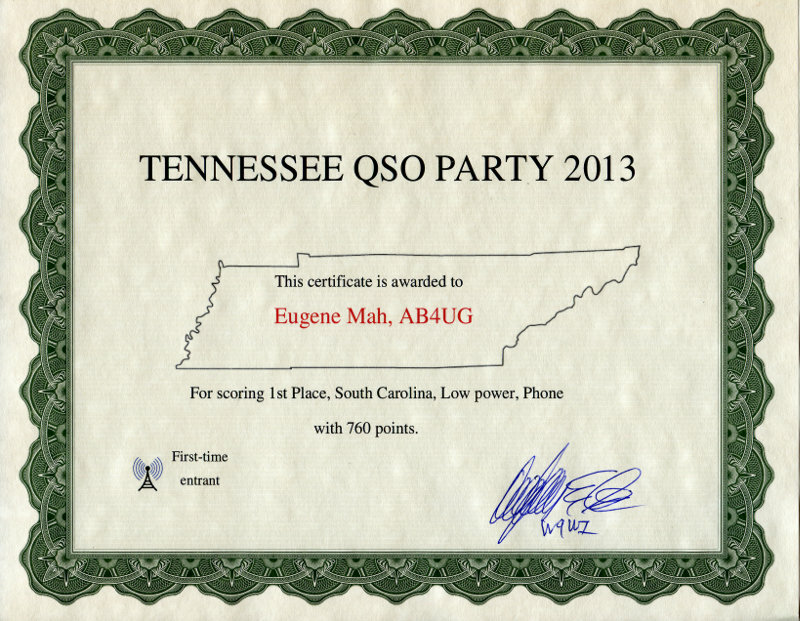 Results for the 2013 Tennessee QSO Party were waiting for me in my mailbox today, along with a very nice award for the top score (760 points) from South Carolina in the Low power Phone category. My first contest award! Ok, never mind that I was the only submission from SC. It will make a nice decoration for the shack. The certificate also notes that I was a first time entrant to the QSO party.